Ahh....what's that sound? Silence! We took our oldest son to college on Saturday and helped him move into the dorms, and our youngest started high school today. And that means...I am alone in the house! Woohoo! I need to mostly work on catch-up stuff today, but I am excited to finally have some time to myself to do more writing. I am still working on my last Big Book of the summer, 11/22/63 by Stephen King. It is excellent, but after two weeks of reading, I am still just past half-way! I'm not sure if I'll finish it by Labor Day for the Big Book Summer Challenge, but I am enjoying it very much. I started a new audio book, Young Fredle, a middle-grade novel by Cynthia Voigt. It's great so far (another winner of the Odyssey Award for Excellence in Audio Books), but it may take me longer to finish it than usual - my son took the car with the CD player to school with him. My old 92 VW only has a broken cassette player and a radio! My husband, Ken, finished A Clash of Kings, Book 2 in the popular George R.R. Martin series - woohoo! He enjoyed it very much, but it was a hefty one! Ken has now started Gone Girl by Gillian Flynn, the summer's hottest novel that we've both been anxious to read. Jamie, 18, took A Feast of Crows, Book 4 in George R.R. Martin's series, with him to college, but I suspect he hasn't had a lot of time to read this weekend! Craig, 14, finished his required summer reading, In the Time of the Butterflies by Julia Alvarez, in plenty of time to return to school. He did a great job getting all of his required reading done this summer! I had a super busy week last week, but I DID manage to write one review, of The Unbearable Book Club for Unsinkable Girls, a teen/YA novel by Julie Schumaker which I enjoyed very much. Hopefully, I will have a bit more time for blogging this week. Remember: If you are participating in the Big Book Summer Challenge, this is the last week! The challenge officially ends on Monday, Labor Day, so finish your big books and be sure to add your big book review links to the list on the challenge page. At least I think it's still Monday...barely! We spent the weekend out of town with family, then all day today driving back and forth to an out-of-state doctor's appointment, so I'm running a bit behind. Things have still been crazy hectic here, as predicted last week, but we had some good news and made a big decision. The college found my son a single dorm room, and he decided to give it a try, with a reduced schedule of just three classes (he has some significant health issues). So, that is all very exciting! Move-in day for freshman is Saturday, so this will be another insanely busy week...but maybe then things will calm down a bit for me (not for long, I'm sure...). I am, of course, still working on Stephen King's 11/22/63, my last Big Book for the summer! As expected, I am loving it so far, especially the way that King wove one of his past novels, It, into the early parts of the story. I love when an author does that - it makes you feel like an insider! In the car today, I finished the middle-grade audio book Okay For Now by Gary D. Schmidt. I LOVED everything about this wonderful novel! It was quite possibly the best middle-grade novel I've ever read AND the best audio book I've ever listened to. Highly recommended. My husband, Ken, is also reading a hefty novel, A Clash of Kings by George R.R. Martin. He and our son both love this series. Jamie, who turned 18 last week, read his required freshman summer book in one day last week! Their First-Year Student Common Reader is Behind the Beautiful Forevers: Life, Death, and Hope in a Mumbai Undercity by Katherine Boo, a nonfiction book set in a poverty-stricken part of Mumbai. Jamie said it was eye-opening and fascinating. Part of his motivation for reading his required book so fast was to move onto Book 4 in the George R.R. Martin series, which he picked up in the college bookstore when we bought his required book. He is almost finished with A Feast of Crows already and loving it! Craig, 14, is slogging his way through In the Time of the Butterflies by Julia Alvarez, one of his required summer books. He's not loving it! What did you and your family read last week? Jamie and his brother Craig celebrate his 18th birthday. Well, I did some catching up on blogs last week and wrote quite a few posts and reviews, but this Monday post might be all that I can manage for this week! It's going to be insanely busy, with my son's 18th birthday, a weekend away with extended family starting Friday, and so many things to get done before then that my to-do list is overflowing the page! I finished Explosive Eighteen by Janet Evanovich, laughing all the way. It was a nice bit of fun escapism, just what I needed last week! Next I read a new teen/YA novel, The Unbearable Book Club for Unsinkable Girls by Julie Schumacher. I requested a review copy of this novel because I read that the author was from Delaware and the story was set here as well, but I ended up really liking this teen summer novel very much. And now (drumroll please...), I have finally started 11/22/63 by Stephen King, my last selection for My Big Book Summer Challenge. This one definitely qualifies as a big book, at 849 pages. It will also help me meet my weight-training goals, as the hardcover edition we have is a brick of a book! It is excellent so far - I LOVE time travel stories, so I know I will enjoy this very much. 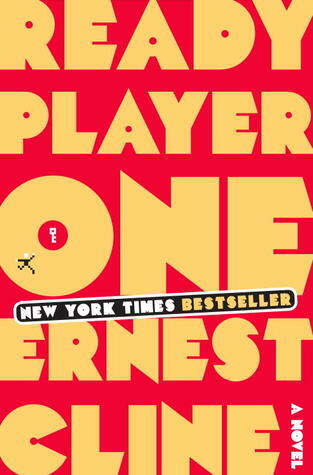 My husband, Ken, finished Ready Player One by Ernest Cline and loved it as much as my son and I did! If you are also a fan of this unique novel, check out my review with a link to Cline's own Easter Egg contest, just like in the book! Ken is now back to reading A Clash of Kings by George R.R. Martin, one of his Big Books this summer. Jamie, 17, finished Taliesin by Stephen R. Lawhead, Book 1 in The Pendragon Cycle series. He said it was very good, and he is looking forward to reading more of the series. Now he is focused on trying to finish up the last of his high school work and get ready for college. Craig, 14, is reading In the Time of the Butterflies by Julia Alvarez, as required reading for his freshman year of high school which starts in 2 weeks! He's not really enjoying this novel so far. I wrote two reviews last week: Ready Player One by Ernest Cline and Sharp North, a teen/YA dystopian novel by Patric Cave. I also posted my summary of Books Read in July (better late than never!). And if you want to get to know me better, check out my top ten lists from last week, of the blog posts that provide the best glimpse of me - there is one list for this blog (grown-up books) and one for my Great Books for Kids and Teens blog. I also posted a link to a fun list based on an NPR poll: the 100 Best-Ever Teen/YA Novels. This was an interesting list since it was based on a public poll. Check it out. Once again, the end of the month took me by surprise! How could July have passed so quickly? I usually start my monthly summary with a photo from the month, but my camera broke on one of the last days of our vacation in June, and I just got a new one last week. It was an all-fiction month for me! I read two grown-up novels, one lengthy teen/YA novel, and 4 graphic novels. The graphic novels are an unusual twist for me - Scholastic sent a bunch for review, so I squeezed them in among the longer novels. My favorite of the month? That's an easy one - I loved Ready Player One and so did my husband and son! I made some progress in my 2012 challenges: I added only one new state to my Where Are You Reading 2012 Challenge: Ready Player One takes place in Oklahoma (in 2045 but it's still Oklahoma!). None of the graphic novels actually specified a location. Sharp North counted for both my Dystopian Challenge and my 12 in '12 Challenge to read 12 books from my TBR shelf. And I added 1 book to my What's In a Name Challenge (don't you think you might find Cardboard in a backpack? maybe?). And I added another book, Sharp North, to my own Big Book Summer Challenge. So, I had a pretty good reading month in July. How about you? What was your favorite book read last month? Ready Player One by Ernest Cline is a wonderful, unique novel that is so good that it swept quickly through our family, read by me, then my 17-year old son, and then my husband (who couldn’t stand to listen to the two of us rave about it anymore!). We all loved its story and characters, its one-of-a-kind setting, its mystery and suspense, and especially its sense of fun! Seventeen-year old Wade has a pretty dismal life in 2044. His parents are dead, he is under the care of an aunt who only wants his government issued food coupons, and he lives in a “stack,” a vertical stack of 22 small trailers in a trailer park of over 500 stacks, on the edge of Oklahoma City. But, like everyone else in 2044, Wade also has the OASIS. The OASIS is an intricate, sprawling world of virtual reality where most of humanity now spends their time – going to school, shopping, meeting with friends, and working, all without ever leaving their laptops. Wade attends a virtual high school, finishing his senior year, but his real passion, along with millions of other people, is searching for James Halliday’s Easter Egg in the biggest online game ever created. James Halliday was a Bill Gates/Steve Jobs type guy – a geek who ended up a multi-millionaire thanks to his computer skills. When he died, his will announced that he would leave his entire fortune, including the company that manages OASIS, to whomever was the first person to find the hidden egg in OASIS, somewhere among tens of thousands of online worlds, by solving puzzles and clearing three gates. Basically, it is Willy Wonka and the Virtual Reality Factory! Much of the world joins the search online, including obsessed zealots who become known as Gunters, like Wade. Gunters all know that Halliday was obsessed with the 80’s, when he came of age, so they spend all of their time immersed in 80’s pop culture, hoping to find the elusive clues left by Halliday. Five years later, even the best Gunters have failed to find the first clue in the puzzle. Then one day, after school, Wade finds it. He is the first person in the entire world to solve the first puzzle and pass through the first gate, and as soon as he does, his avatar becomes instantly famous, as the world watches him (and follows him) in hopes of having a shot at the prize for themselves. Wade and his few close friends – whom he has never met in person – are left to fend off their competitors (including an evil corporation that wants to control OASIS) while trying to race to the finish line. Trying to explain the plot this way makes it sound very complicated – and I suppose it is somewhat complex – but mostly it is a whole lot of fun! The 80’s pop culture references sprinkled throughout the book – old movies, music, TV shows, and of course, video games – add a unique element of nostalgia and whimsy to this novel. But you don’t have to know a single thing about video or computer games to enjoy this book because at its heart, it is simply a great, suspenseful story with likable characters to cheer for (and evil ones to root against) that happens to be set mostly in a virtual world. NOTE: Although I have heard great things about this novel since its release in 2011, what finally prompted me to request it from the library was its inclusion as one of the Summer Book Club choices for The Readers, one of my favorite book podcasts (or book-based banter as these two Brits call it). Unfortunately, their planned interview with the author fell through (though they hope to still do it sometime in the future), but they did spend some time discussing Ready Player One on this summer podcast. Now that we have all finished the book, we can listen to the discussion! Today is Tuesday, and that means Top Ten Day over at The Broke and the Bookish. Head on over there to check out all the links to great blogs! I love making lists, but I haven't had the time to participate in this favorite meme all summer. Today's topic is Top Ten Posts That I Think Give You the Best Glimpse of Me. 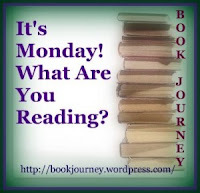 This is an interesting one because most of my posts are either book reviews or Monday What Are You Reading? updates, but I will try to select a nice assortment to give you a better idea of who I am, both personally and as a reader (and writer). Welcome to My Reading World - my first ever book blog post, this provides an introduction to who I am and what I like to read. Since it was written over 6 years ago, I doubt that anyone sees it much anymore, so I'm glad to have a chance to link to it! (NOTE: I later separated reviews of kid/teen/YA books into another blog, Great Books for Kids and Teens). Review: The Anatomy of Hope - this review of a nonfiction/non-memoir book (a bit unusual for me) is important to me because this book had a profound effect on my own life, and I often recommend it to others. Review: Replay - a review of my favorite book of all-time - 'nuff said. Favorite Books Read in 2006 - though a few years out of date now, this year-end summary was the first time I'd kept track of what I read, and some of the books listed here as best of the year remain on my top ten of all-time list. Top Ten Books That Taught Me Something - long before I discovered this Top Ten meme at The Broke and the Bookish (or even knew what a meme was! ), I started my own Ten for Tuesday list feature. This was one of my favorite lists because I love books that are thought-provoking and expand my view of the world. Quote It Saturday 11/7/09 - I really enjoyed this meme and keep a quote journal to jot down excerpts from books that I want to remember. This one struck a particular chord with me because it is from a memoir about family and travel, two things that are very important in my life. Review: People of the Book - one of my favorite books and also a pretty darn good review, if I do say so myself! My Big Book Summer - this post shows two things: my first-ever hosted challenge and my choice of books to read this summer (I have read 3 of the 5 so far and am getting ready to start 11/22/63). There is still plenty of time to tackle a Big Book before Labor Day, if you want to join in! It's Monday 8/6/12! What Are You Reading? - yeah, I know just about everyone writes some sort of weekly wrap-up post, but I think mine is a bit unique because I include what everyone in my family is reading. Did I mention that family is important to me? Oh, shoot, I can only pick 10? Well, I think those provide a good overview of who I am and what my book blog is all about. Wow, it just occurred to me that it is now August, and we left July behind last week. That should give you a hint as to what my week was like! Lots of stress, emotion, and a flurry of activity after our first meeting with the Office of Disability at my son's college. We have a very big decision to help him make this week regarding whether he is healthy enough to start college (3 weeks from today!) and if so, how much he can manage: 1 class, 3 classes, in the dorms, living at home?? I finished Sharp North by Patrick Cave and will try to write my review this week. It is a teen/YA dystopian novel that is full of action. I picked up Explosive Eighteen by Janet Evanovich, a gift from my husband for my birthday last month. This light and fluffy Stephanie Plum novel is just what I needed right now - a bit of reading fun with nothing at all to think about! I am laughing out loud while I read and enjoying it. I also continued making my way through the stack of graphic novels Scholastic sent with Bird and Squirrel on the Run! by James Burks. Talk about light and fluffy! This is a simple, fun graphic novel about...well, just what the title says...a bird and a squirrel who become friends and endeavor to stay away from the evil Cat. Think classic cartoons, like Tom & Jerry. My husband, Ken, finally gave in and set aside George R.R. Martin's A Clash of Kings so that he could read Ready Player One by Ernest Cline, after our son and I raved about it! He is enjoying it, too, and should finish this morning while he is waiting to be called for jury duty. So, Jamie, 17, finished Ready Player One on Monday (with lots of laughs). Now Jamie is reading Taliesin, Book 1 in The Pendragon Cycle by Stephen R. Lawhead. He says it's good so far. Craig, 14, is reading In the Time of the Butterflies by Julia Alvarez, one of his required books for school. He is waiting to get to the parts with more action; so far, it is mostly about sisters reminiscing about their days at school - not really his thing! As I said, no reviews posted last week, but I did post a link to a fun list of 11 Authors Who Hated the Movie Versions of Their Books. There are some real surprises on this list! I added my own list of movie adaptations I loved or hated. How about you? Join in this fun discussion! Recently, my favorite book podcast, Books on the Nightstand, referenced this blog post from Mental Floss, 11 Authors Who Hated the Movie Versions of Their Books, and I wanted to share it with all of you. 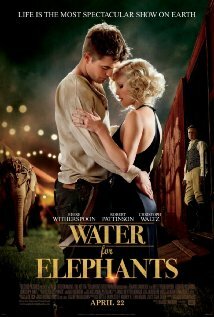 As for recent movies, my husband and I just watched the movie adaptation of Water for Elephants last week, and we both loved it (we both read the book). I also enjoyed the movie adaptation of The Namesake, and our whole family thought The Hunger Games movie was excellent. We also recently watched One for the Money, the movie adaptation of Janet Evanovich's first Stephanie Plum book (again, we are both fans of the books). While the movie was pretty well done just from the perspective of a movie, it was almost painful to watch as a lover of the books! We both felt the casting was all wrong. Katherine Heigl as Stephanie?? Not even close. And Debbie Reynolds as Grandma Mazur? Nope. And, as much as I like Jason O'Mara as an actor, he was just NOT Joe Morelli in my mind. Granted, all of the actors did a good job in the movie, but the producers should have chosen actors who more closely fit the descriptions of the characters, instead of just going for the big names. That's Hollywood, right? My husband, Ken, is now horrified with the news that they are making a movie from his favorite suspense series, the Jack Reacher books by Lee Child, and they have chosen Tom Cruise to play 6'3" blond Reacher! Which movie adaptations did you love or hate?